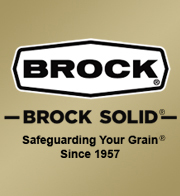 MILFORD, Indiana U.S.A. – Brock Grain Systems has developed a unique grain silo aeration floor support system that could set a new design standard for the silo aeration floors of the future. Brock’s PARTHENON® Support System is an innovative floor support designed specifically for use with Brock’s award-winning TRI-CORR® Aeration and Drying Floor. The new floor system can be used for aerating a variety of grain types, including canola. Brock’s TRI-CORR Floor, with its distinctive triangle-shaped center leg design, offers three times more support at the floor’s crown compared to Brock’s previous industry-leading aeration floor designs. The PARTHENON Support offers a load-bearing capacity that complements the strength of the TRI-CORR Floor. The TRI CORR Floor/PARTHENON Support System carries a five-year warranty. Easy to install, Brock’s PARTHENON Supports are available in 311- or 430-mm (12-1/4 or 16-15/16-inch) heights for grain drying and aeration. The low PARTHENON Support offers enough floor clearance to permit the use of 254-mm (10-inch) diameter unloading systems. Brock dealers and grain producers who install their own aeration floors like how the PARTHENON System requires only half the usual number of support rows and reduces the number of supports needed overall by two-thirds. The new support uses a non-staggered set-up pattern for faster installation. The distinctive Brock floor supports easily lock together with an included inter-lock system to eliminate movement.